Jen DeJarld, head coach at Mother McAuley High School in Chicago, works with players on communication, cooperation and vision in this 4-on-1 drill. Four players — a left, middle and right back passer and server — line up on one side of the net. A server lines up on the other. The server enters the ball and runs to play defense at left, middle or right back. 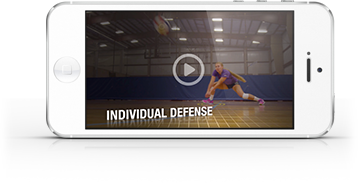 Whichever passer receives the serve is set a back-row attack and must hit toward the server (now on defense). As the server digs, the attacker runs under the net and hits a down ball at the server off the server’s dig.